AGOZ Heavy duty rugged canvas vertical case is made of high quality canvas with a great and stylish looking with soft interior. 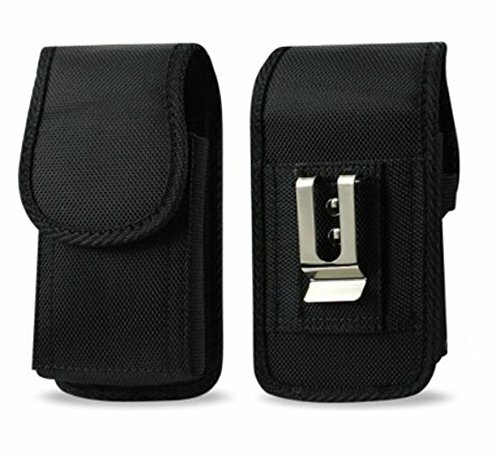 It has a strong metal clip and two belt loops(to use vertically and horizontally). Package Includes: AGOZ Heavy duty rugged vertical canvas case with a metal belt clip and two belt loops. This item is sold exclusively by AGOZ. Only buy from Authorized dealers to get original AGOZ(TM) products with manufacturer warranty and prompt customer service. AGOZ Heavy Duty Rugged Vertical Canvas Case with Belt Clip and Loops For Samsung Galaxy J7 V, J7 (2017), J7 Sky Pro S727VL, J7 Perx, J7 Prime, Galaxy Halo. Galaxy J7 NEO. Two belt loops, vertical and horizontal. IT IS FOR A BARE PHONE. If you have any questions about this product by AGOZ, contact us by completing and submitting the form below. If you are looking for a specif part number, please include it with your message.